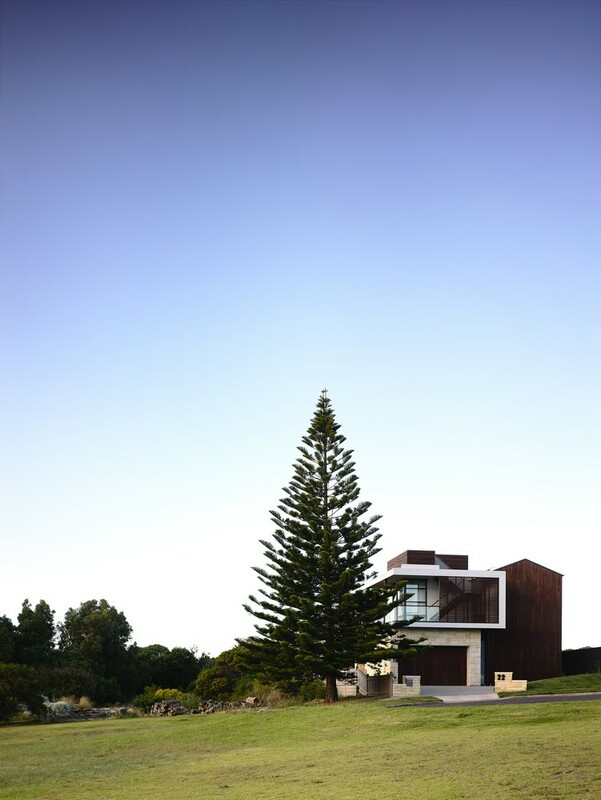 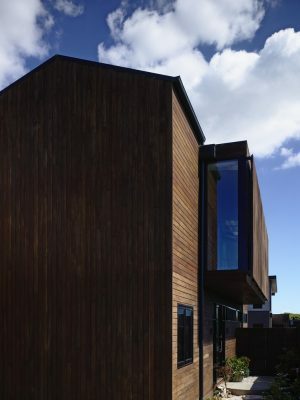 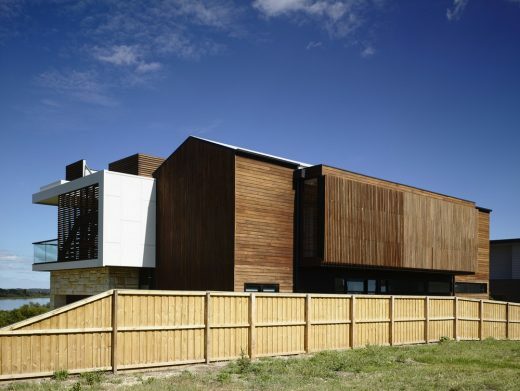 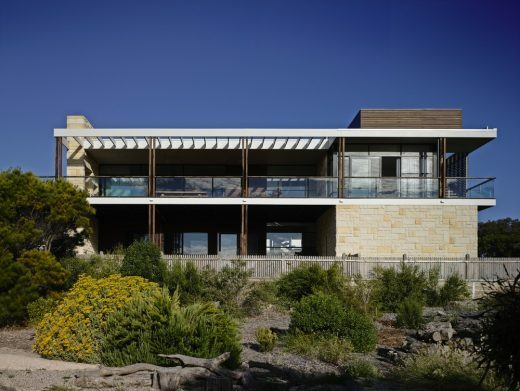 The project site is perched on Benito’s point the highest hill in Queenscliff which is prominent from the main road that enters the coastal town. 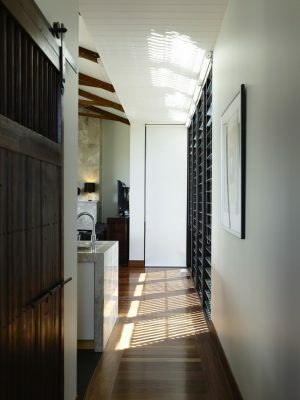 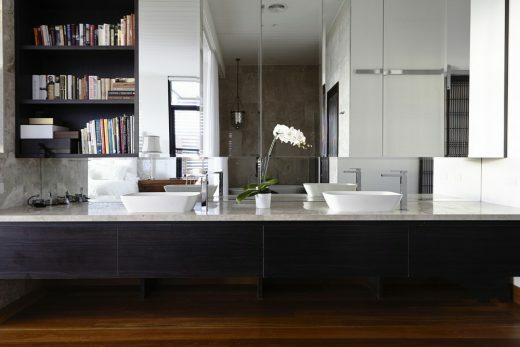 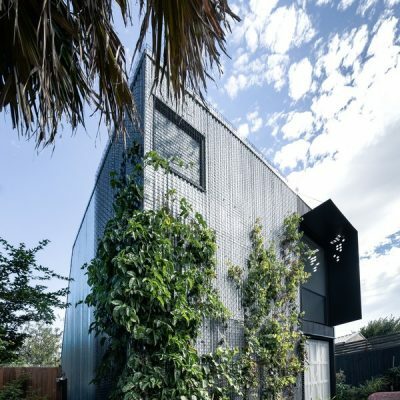 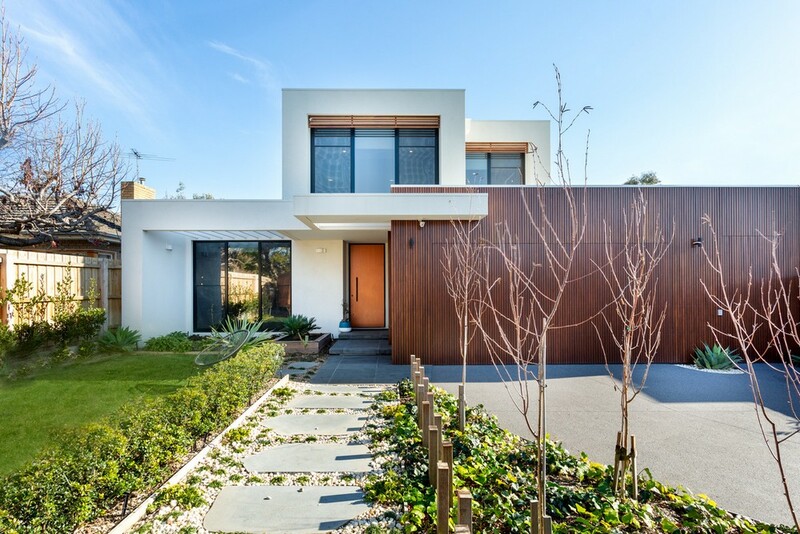 The resulting dwelling reflects the care taken in its creation, from its clean, confident design to the rich detailing and furnishing that animate its interiors. 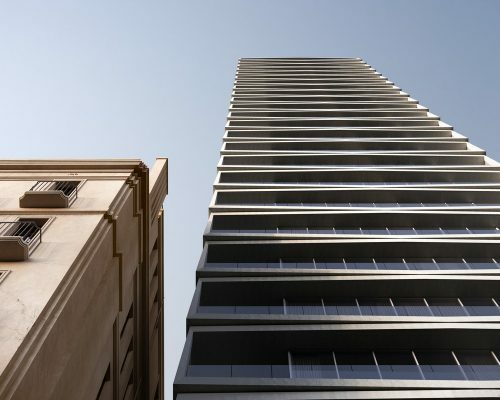 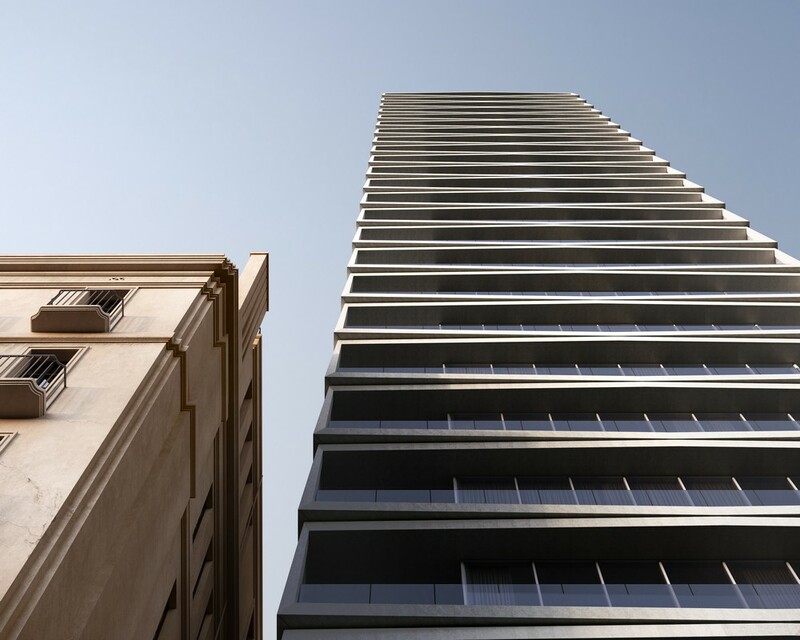 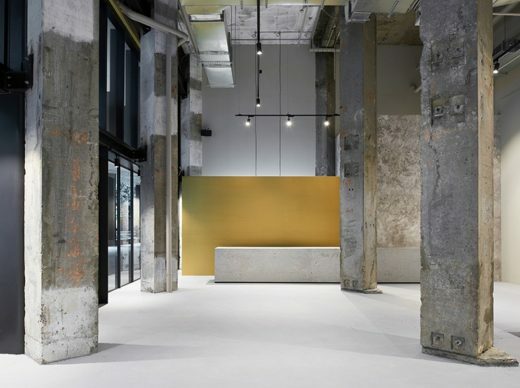 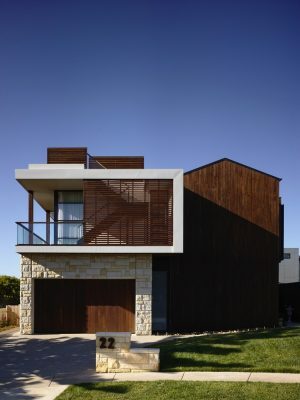 Externally and internally, the structure demonstrates refined and considered attention to materiality. 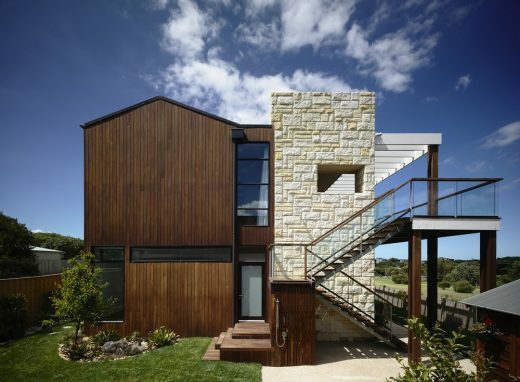 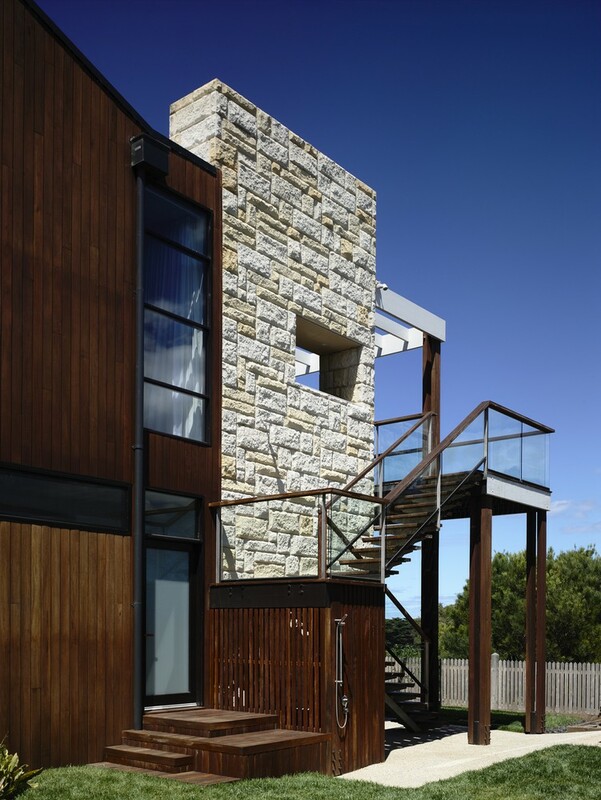 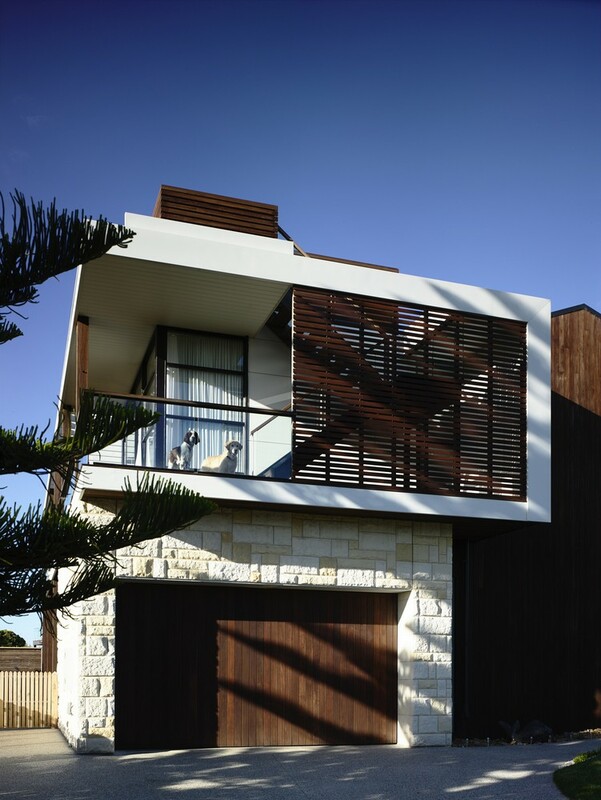 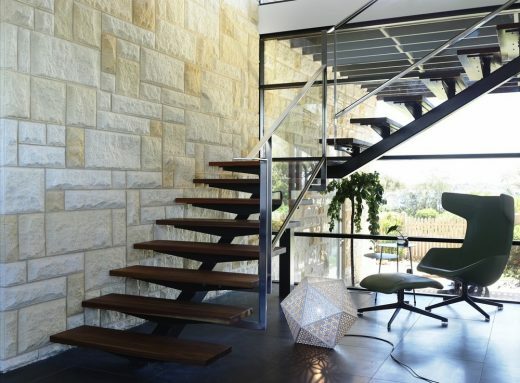 Outside, cladding in three colours of limestone sourced from Mount Gambier resonates with the geology of the nearby cliffs and bedrock, and the Spotted Gum used for cladding, decking, floorboards and battens was all installed with concealed fixings, creating uninterrupted plains of tonal variation. 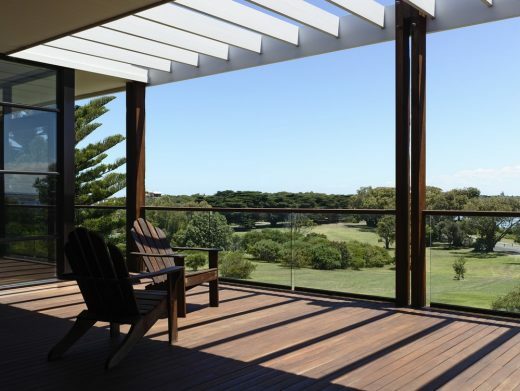 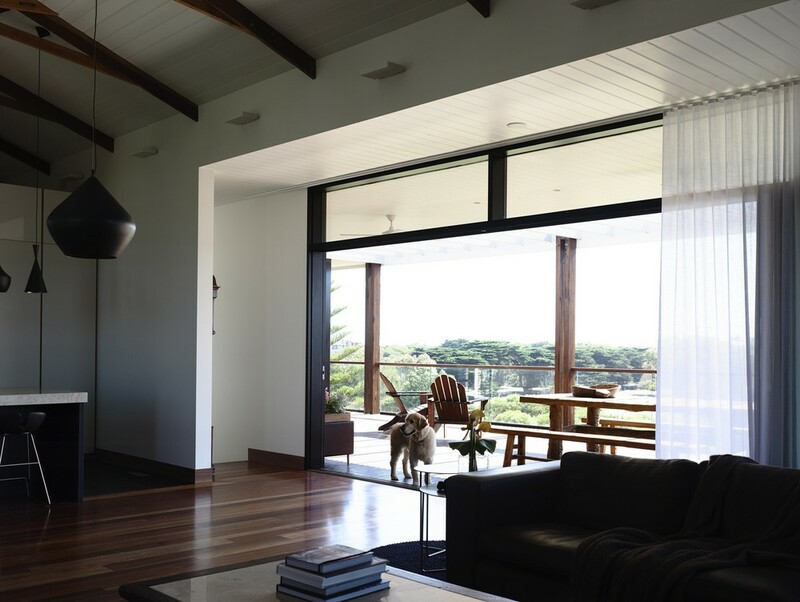 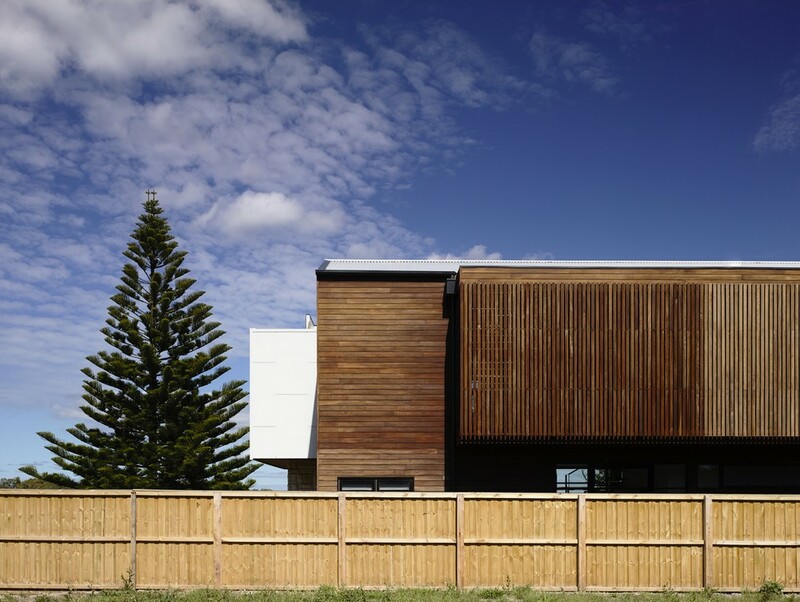 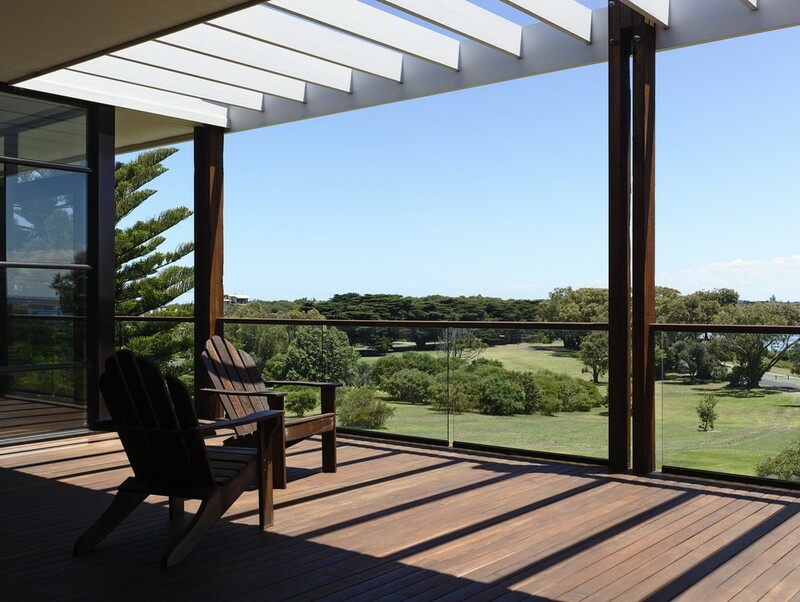 The large distressed recycled timber columns on the east façade create picture frames for viewing the vista of swan bay beyond. 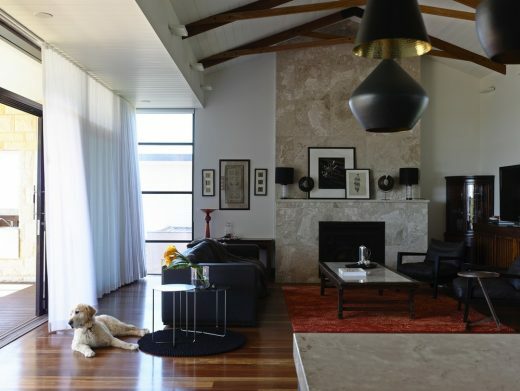 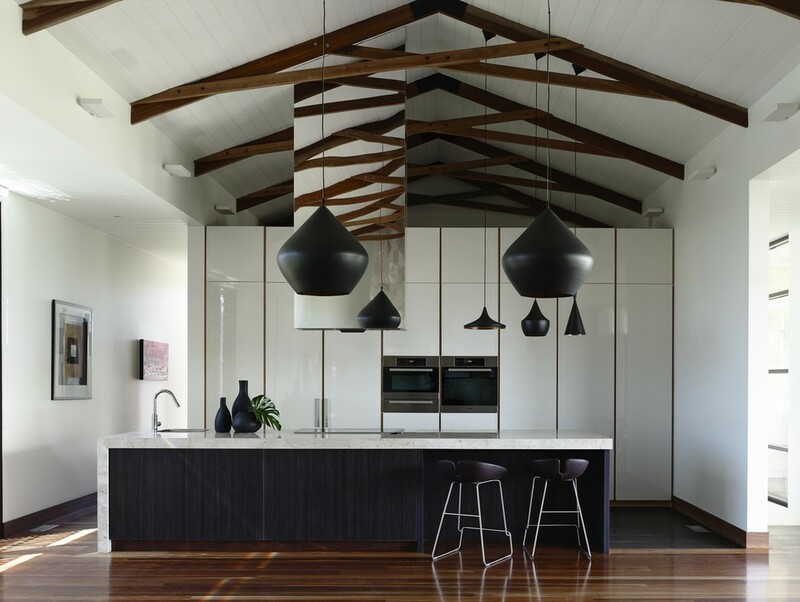 Linking with the interior recycled spotted gum scissor trusses, the experience of being in barn translates to the experience of inhabiting the underside of the pitched roof and exposed structure as tectonic decoration.